« Prosecution of Forest of Bowland gamekeeper. BBC One Inside Out: Catch Up: Disappearances of Peregrines from Derbyshire White-Peak. 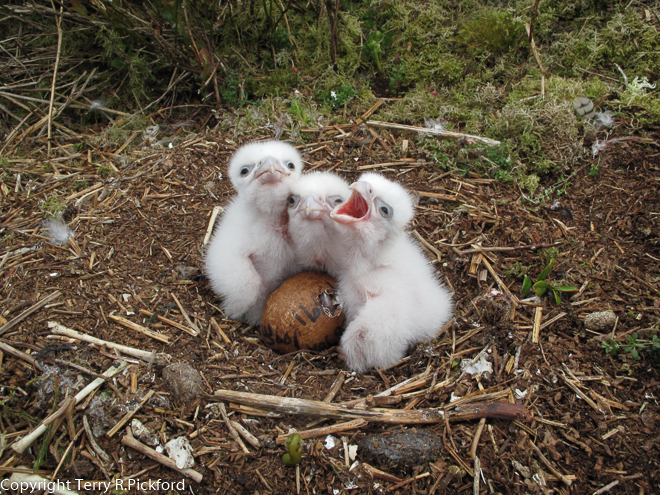 This ground nest was subjected to a robbery when the two larger female chicks were removed from the nest at 3 weeks old. The Inside Out programme broadcast last night can be accessed on Catch Up by following the link we have provided https://www.bbc.co.uk/programmes/b09vp8bj. Last night (12/03/22018) BBC East Midlands feature on the ‘Inside Out’ programme an ongoing investigation into the disappearance of peregrine falcons from established nests located in Derbyshire’s White Peak. Seemingly these robberies have been taking place over several years at specific nesting sites in the White Peak, but to date no one has been brought to justice. Before being able to access the programme you will need to register, very simple. To begin watching the peregrine broadcast scroll across to the right hand side of the screen to 21 minutes. 2 comments to BBC One Inside Out: Catch Up: Disappearances of Peregrines from Derbyshire White-Peak. The media has always inflated the prices of birds,it used to be the same with egg collecting, it just encourages illegal acts. I would rather sacrifice another clutch or two this season,this may reveal who is responsible for the thefts, then the route the eggs/chicks take may become apparent,along with how money is actually being made. Instead, people are being warned off. Assuming these birds are going to Arab buyers,as I understand it,with few exceptions, they only want females. What happens to all the male chicks?. This is not as straightforward as some imagine.